Made from natural ingredients, this balm is ideal for repairing seriously dry, cracked skin. Complete with refreshing lemon oil and cotton thistle balm, this balm will revitalise your feet. No, it’s not a tongue twister, it’s a spicy ginger scrub that is great for waking up tired feet. Leaving your skin feeling soft, smooth and smelling great – this product is an ideal pre-holiday treatment. Using small circular blades to remove even the hardest of dry skin – this contraption improves the look of feet instantly. Perfect for hard skin scrubs can’t shift. Originally developed for pregnant women and new mothers, this spray works wonders on anyone suffering from water retention or swollen ankles/feet. Improving skin tone and circulation, this spray is perfect for warmer summer days. 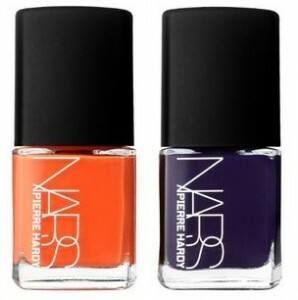 Great for perking up your toes for summer, a bright nail varnish can go a long way. We love this colour combination of bright orange and deep navy. If you fancy treating yourself to a professional treatment, take a look at our Pedicures page for more information and to find a beauty therapist in your area.